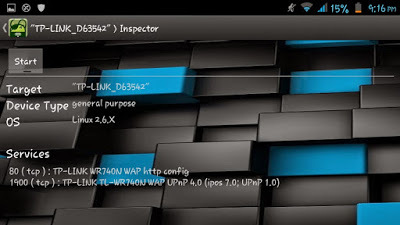 Download dSploit Android Hacking App +dSploit tutorial: dSploit is an Android network pentesting suit, which comes with multiple network analysis tools. But the main limitation of this app is that you will need a rooted device. Also the smartphone must have an ARM CPU (most of them have it). Your device must also have an Android version of 2.3 or higher. You will also need BusyBox installed before proceeding to use dSploit. Below is the download link of dSploit and Busybox. Also note that you must have a full installation of BusyBox installed on your smartphone. With dSploit, you can perform tasks like network mapping, vulnerability scanning, password cracking, Man-In-The-Middle attacks and much more. 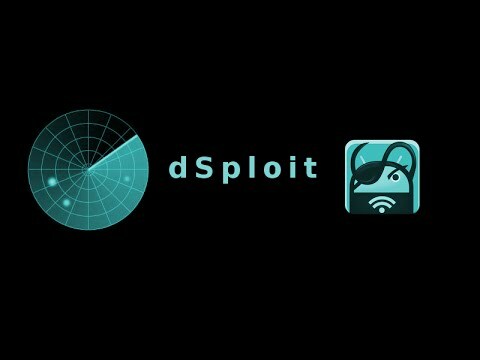 So let’s begin with our tutorial of dSploit. Open dSploit and click on Modules. Click on Router PWN. This will open up a webpage with name of Router companies. Select the company of the router that you want to attack. If you don’t know the make and model of the router, then click on every given company. The exploit will begin once the router connection is established. Trace is used to identify the details of a network. It performs the tracerout command on the network. Once completed, it will display the IP address associated with the target. Open dSploit and select Trace module. Select the target network and tap the start button. Once completed, it will show you the IP address and response time of that network. Port scanners are used to scan ports and identify them. If there are any open Ports available, it will connect you with it. Open ports can let you inside of a Network. It will let you communicate with the network. They are usually available on weak-configured networks. Open dSploit and select Port Scanner. Click on start to begin scan for Open ports. Any open ports will be displayed. Click on them to connect with the network. It is a basic module that shows the system configuration and other details of the network. You can use Inspector by selecting it and clicking on the start button. Open Vulnerability Finder and select your target network. Click on start. This will begin the scan.once completed, known vulnerabilities will be displayed (if any). Select on a vulnerability to start attacking it. This modules attacks the Login of a network by using a dictionary attack. This attack will generate random passwords and user ID’s to identify a correct one. It may take a longer time (usually because of long password or special characters). 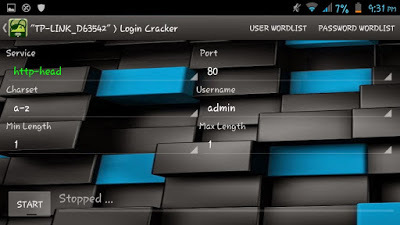 Open dSploit and select the Login Cracker module. Now set the options as you like. Guess the keywords of the password and set accordingly. Click on start. It will start attacking the network using dictionary attack. There are many other modules available that you can try on. This App does not need any special programming skill. dSploit is purely based on GUI based setup. Hence, you can try on all the modules. The process of using them is sames as the above modules. If you still have nay queries, then do comment below.